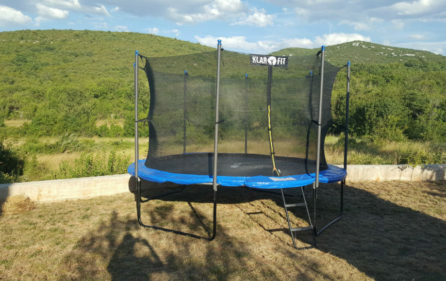 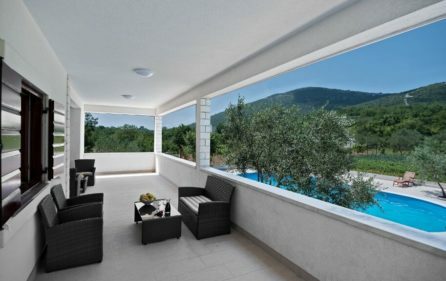 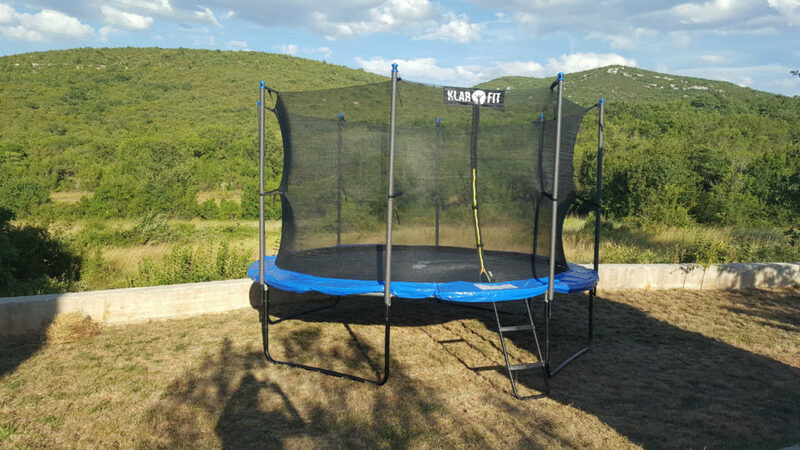 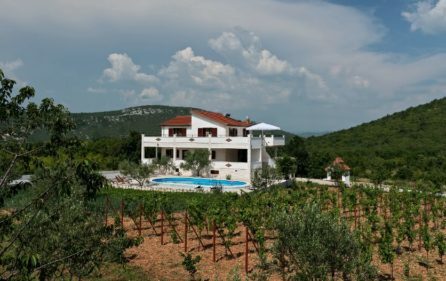 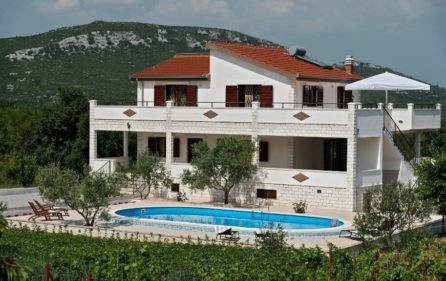 Countryside villa with pool for rent, Trogir area is situated in Dalmatian hills, 400 m above sea level with beautiful views of countryside near Trogir city. 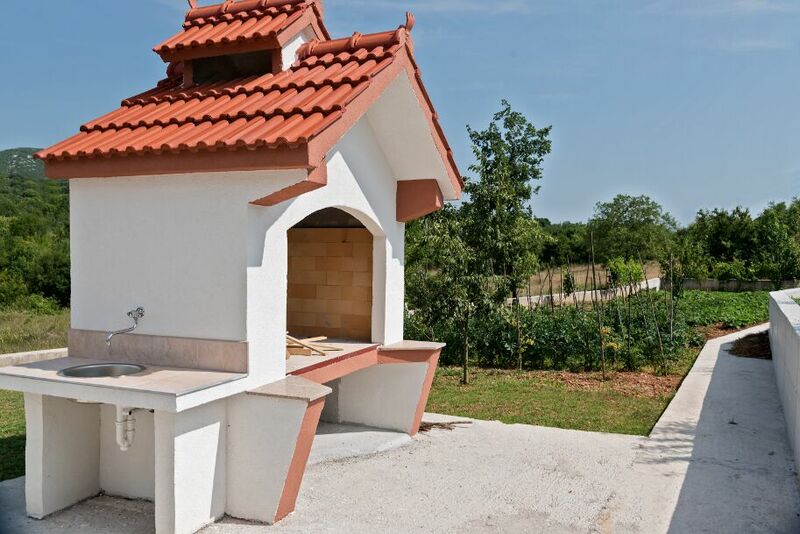 It has 4 bedrooms, 3 bathrooms, 3 kitchens, an area for dining and a living room. 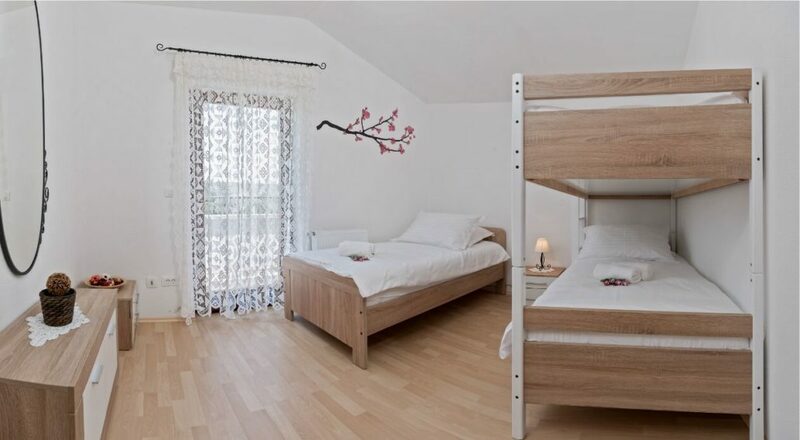 It is suitable for accommodation of 10 people. 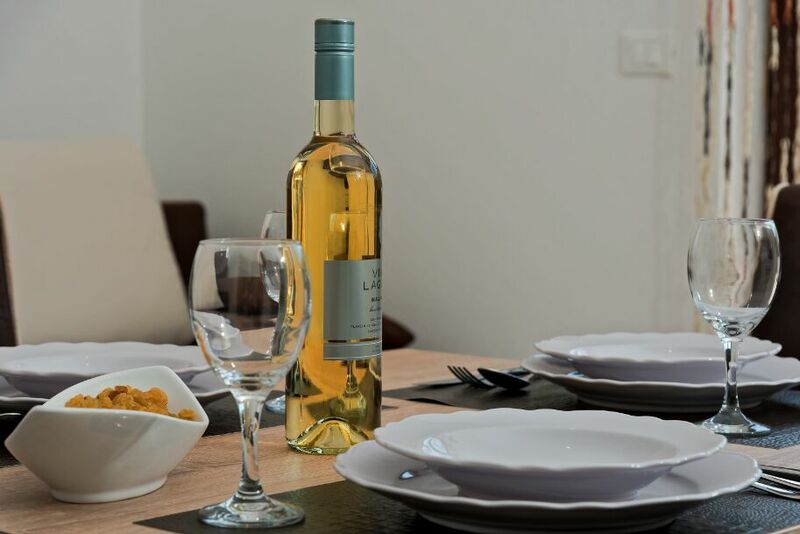 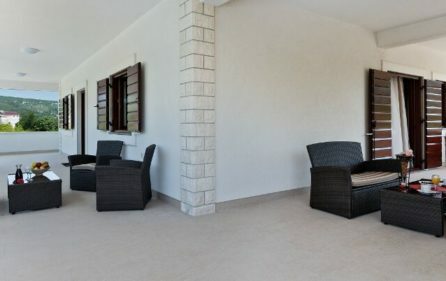 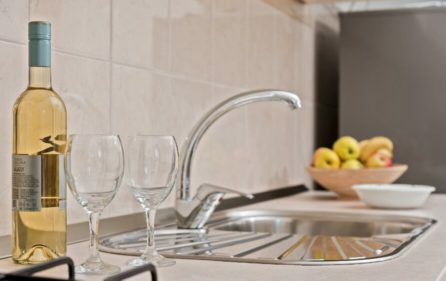 The whole villa is fully equipped, including, TV, Wi-Fi, airconditioner. The premises cover an area of 4 500 m², the villa itself occupies an area of 318 m². 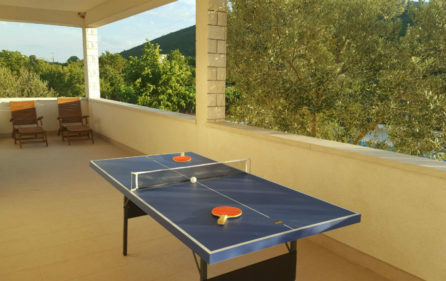 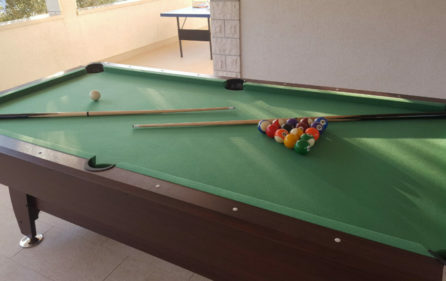 Villa has table tennis, small trampoline and billiard table at disposal for guests. 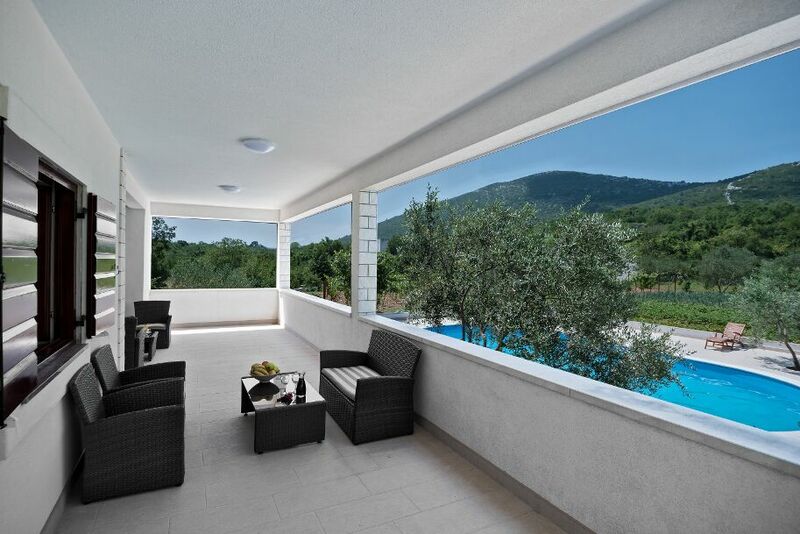 Guests benefit from the terrace and an outdoor pool. Free private parking is available on site. 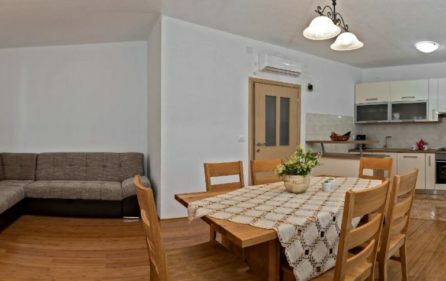 There is a seating area and a kitchen complete with a dishwasher and an oven. 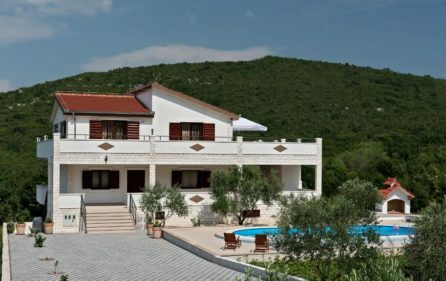 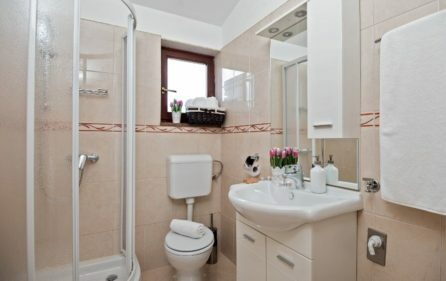 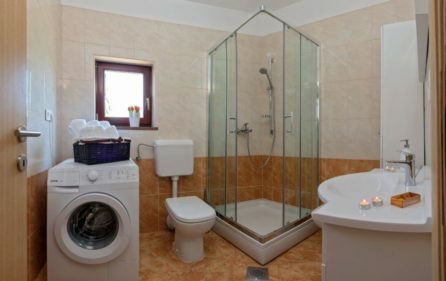 Towels and bed linen are offered at the villa. 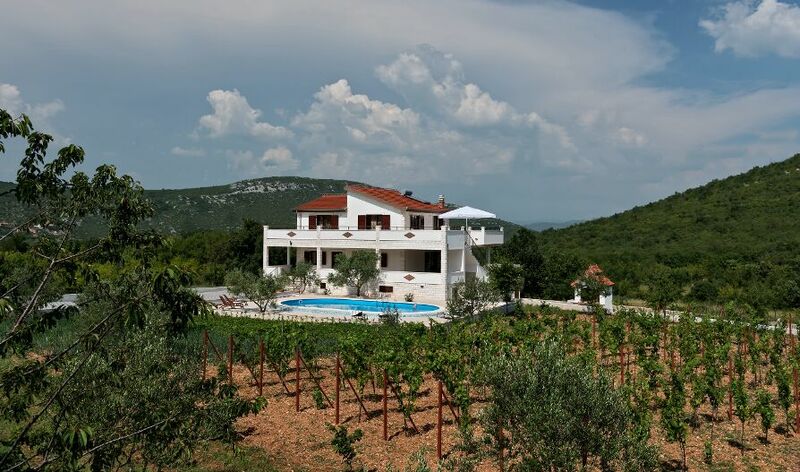 Split city is 40 km from Villa and beaches is 12 km from the property. 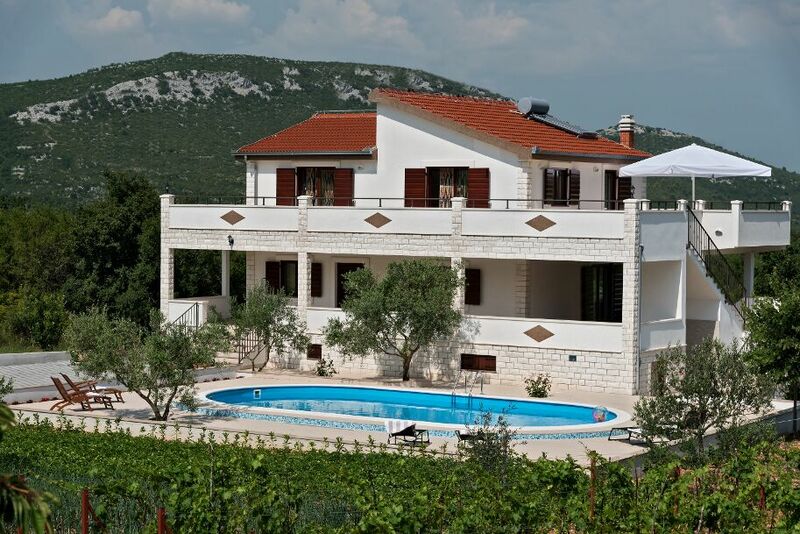 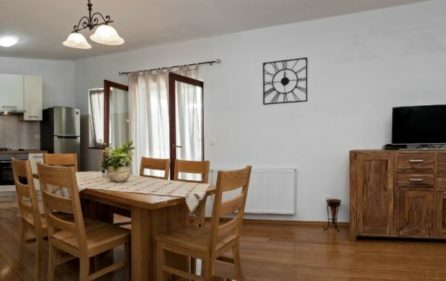 The nearest airport is Split Airport, 18 km from Villa. 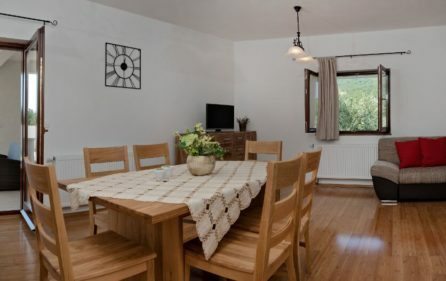 There is a seating area and a kitchen complete with a dishwasher and an oven. 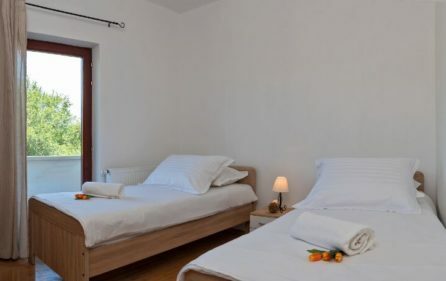 Towels and bed linen are offered at Villa. 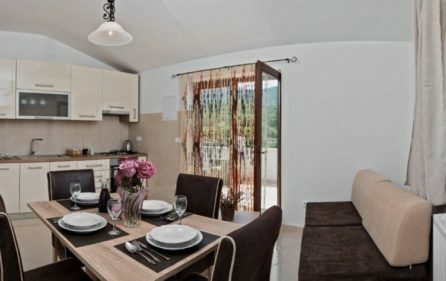 The apartment of 83 m² with exit to the groundfloor terrace of 80m², 2 bedrooms (One room with twin beds, one room with king double bed). 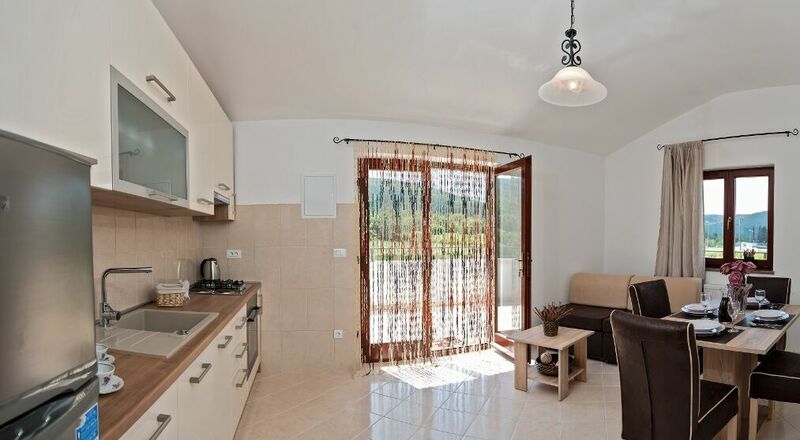 The apartment of 35 m² with exit to the terrace of 85 m². One bedroom with double bed room. 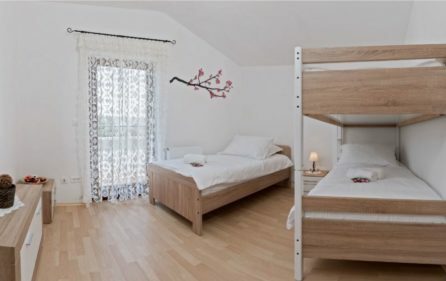 One bedroom with single bed and bunk bed. 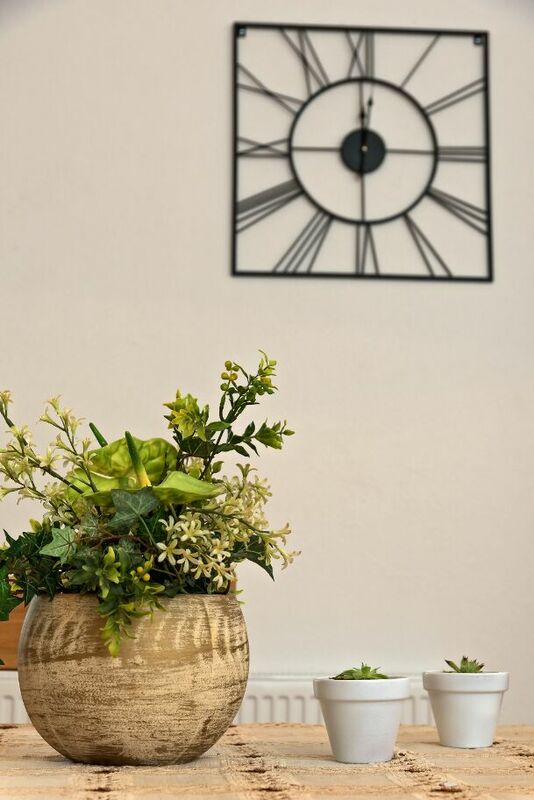 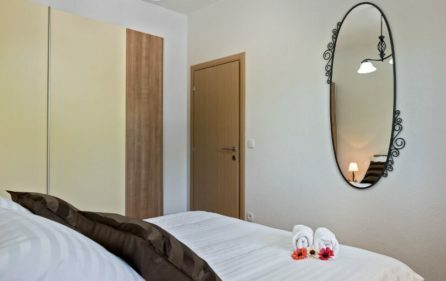 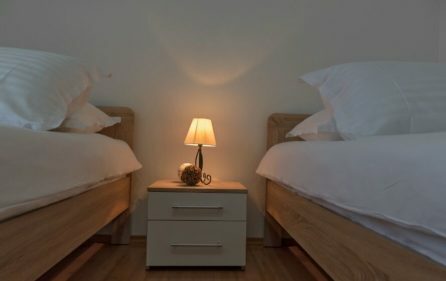 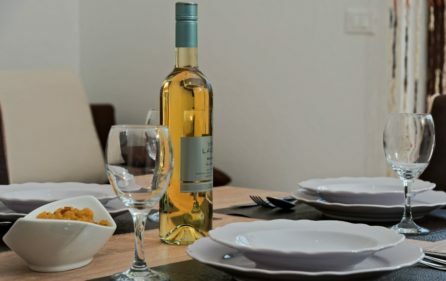 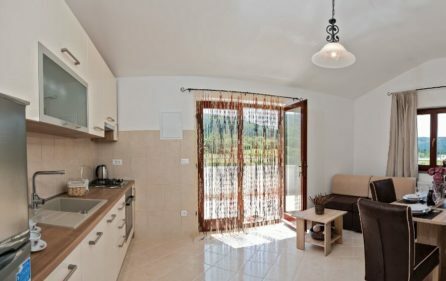 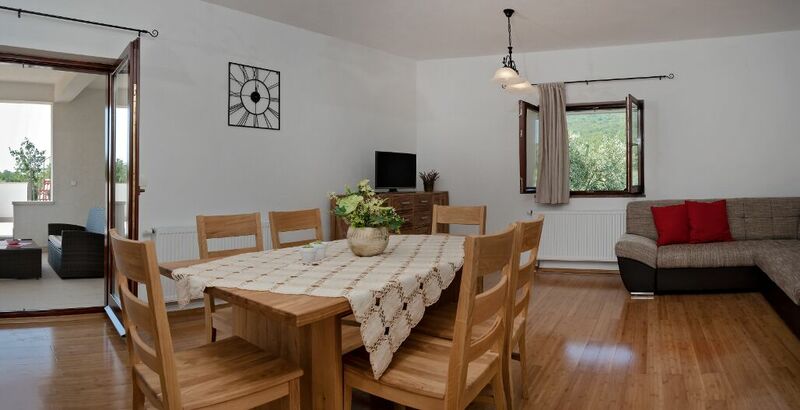 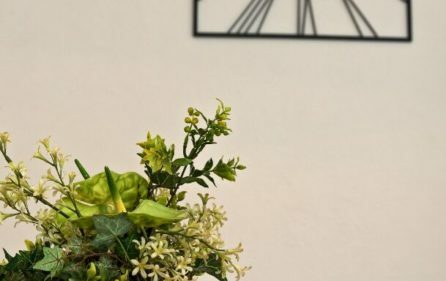 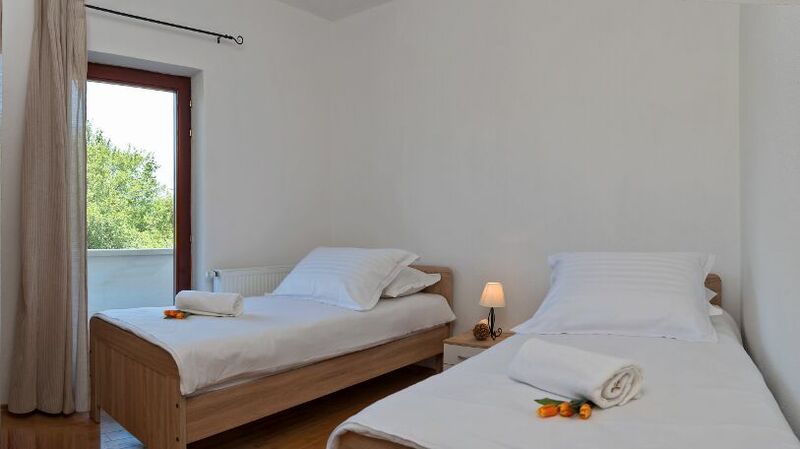 The prices include: VAT, tourist tax, welcome drink, parking for 7 cars, wi-fi, satellite TV, loungers, wood for barbecue, bathrobes, toiletries, 3 extra beds, baby cot and baby seats on request. 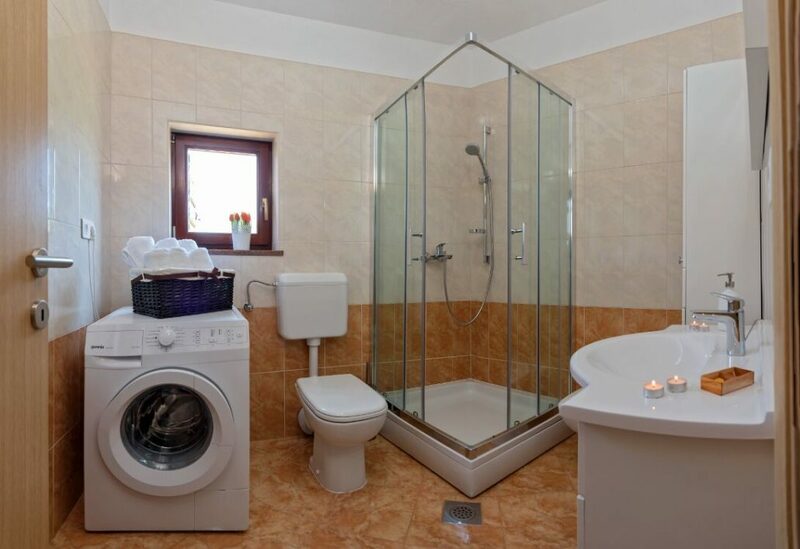 Safety deposit: 300,00 € in cash. 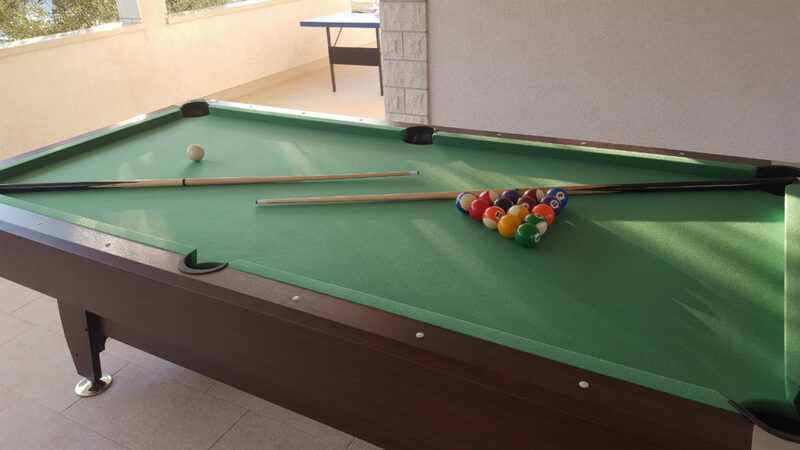 The outdoor pool is operating from May till October.